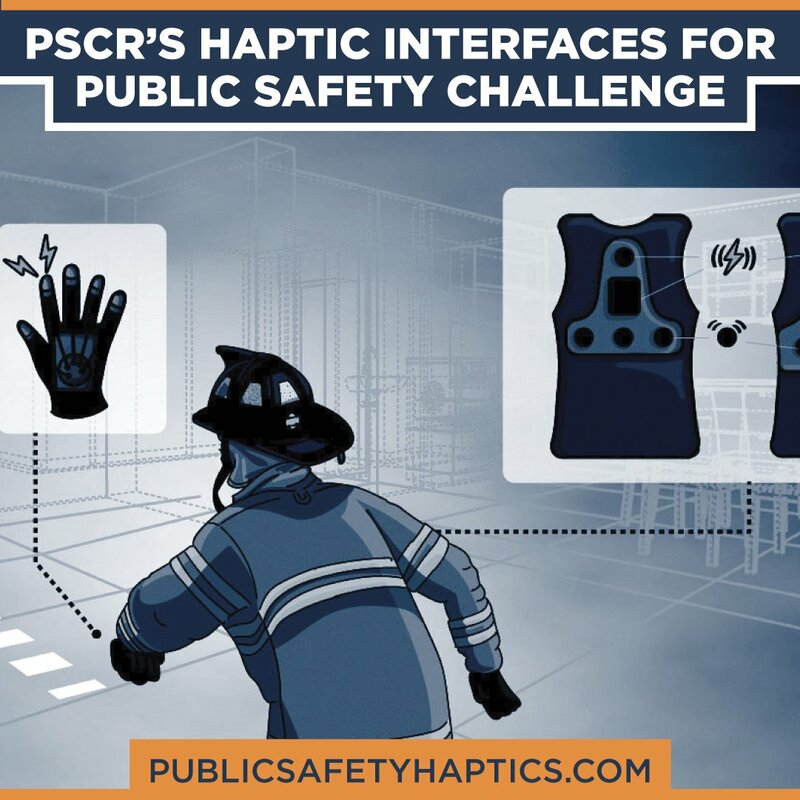 The National Institute of Standards and Technology (NIST) Public Safety Communications Research (PSCR) Division launched a new prize challenge on March 18th, the Haptic Interfaces for Public Safety Challenge! 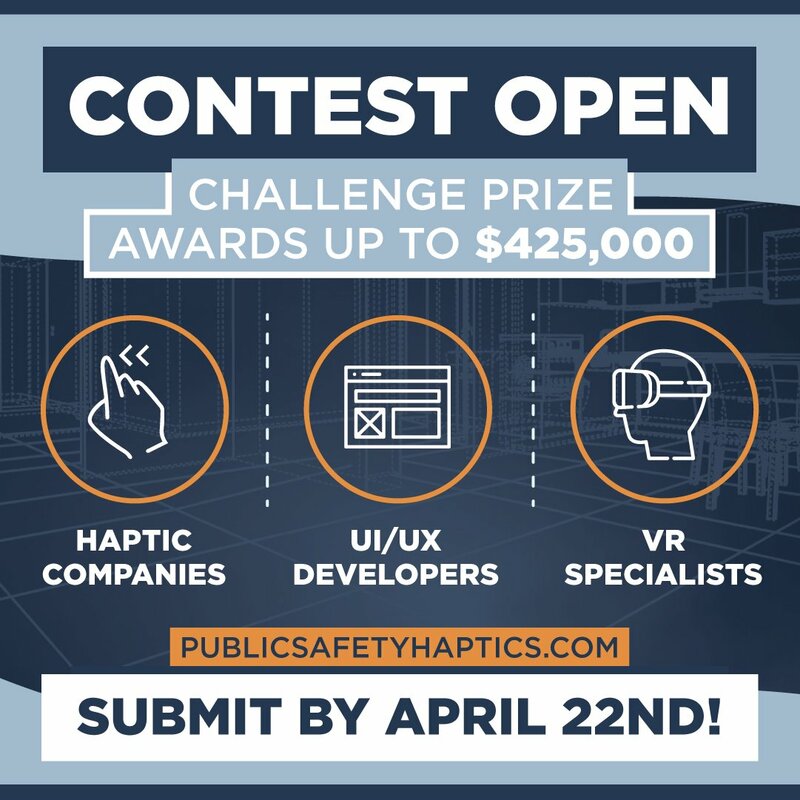 Up to $425,000 will be awarded to winning teams that create haptic interface prototypes that could improve public safety operations. The public safety community needs access to critical information such as indoor maps, location, and routing, all presented in an intuitive, safe, and non-invasive manner during emergency and training scenarios. A haptic interface integrated into a first responder's personal protective equipment (PPE) could assist the user in performing tasks such as monitoring patient vitals, navigating complex spaces with limited visibility, or maintaining situational awareness. This challenge consists of multiple phases with contestants developing three haptic interface prototypes for use in PSCR provided virtual scenarios and a final haptic interface prototype embedded in firefighter PPE for testing at a real-world firefighter navigation course. 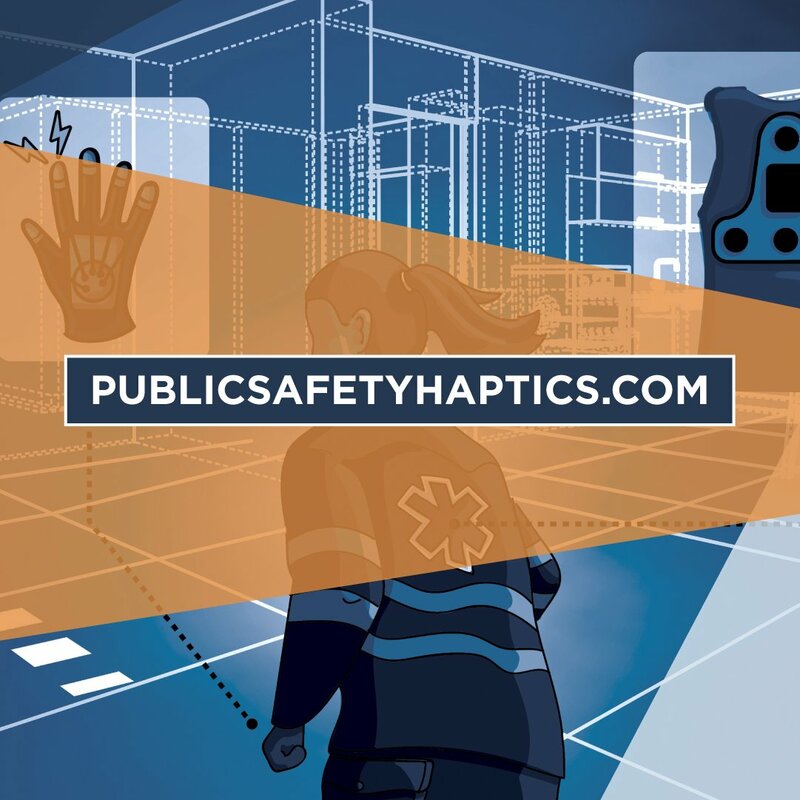 PSCR will assess the efficiency, effectiveness, and level of user satisfaction of the haptic interface prototypes and their ability to assist first responders in conducting their tasks. Contestants will also have the opportunity to demo their initial prototypes with first responders at PSCR's 2019 Stakeholder meeting in Chicago, IL. For more information, please visit: www.publicsafetyhaptics.com. Thanks for sharing with your networks, and please reach out if you have any questions about the challenge or suggestions on how to spread the word about the challenge. All interested contestants must submit their concept paper on Challenge.gov by April 22nd. We look forward to your contributions and ideas on how haptic interfaces could support America's first responders!